The gas range, as its name would imply, is one of the more versatile players in any commercial kitchen. From slow cook to a quick flash in the pan, this appliance must cover the full range of cooking needs. With the versatility come choices. With or without an oven? With or without a griddle? How many burners are needed? There are plenty of questions to be asked and Garland full line of ranges is the answer to all of them. Garland products invoke trends that provide easy paths to future success in any business. Their products are built to operational needs while also keeping in mind the push to drive customer traffic. What sets Garland apart from its competitors is the drive to understand operations from the kitchen to the table. They then work with a team of kitchen innovators to create industry-changing solutions. Garland proudly presents its latest innovation, the award-winning Garland Restaurant Range Series. This state-of-the-art range allows chefs to concentrate on their culinary creativity and productivity instead of clean-up and maintenance. Garland stoves and ranges are built to be ideal for any professional kitchen, regardless of physical size or volume production. Their gas ranges deliver quality performance while providing powerful versatility. Garland’s line of light, medium, and heavy-duty ranges all adopt power, precision, and efficiency as standard benefits. 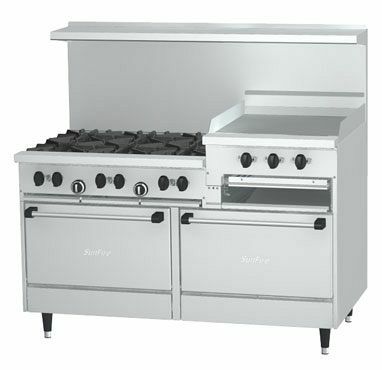 Their sturdy gas ranges are built to last with heavy-duty stainless steel construction, heavy duty cast iron top surfaces, and easy to use precision control knobs. They come in several sizes, ranging from four to ten burners, and even containing griddles and standard ovens. Using Garland gas ranges will help support a wide variety of cooking needs with ease and superior quality. 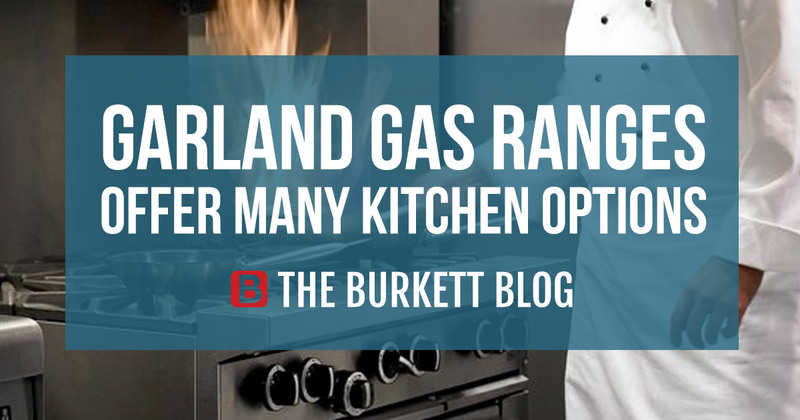 Check out the full line of Garland gas ranges available at Burkett Restaurant Equipment and, for a limited time, enjoy free shipping on almost all of them!